Taking over a space under the arches on Lendal Terrace, Fu Mancha is a new late night dim sum and cocktail bar, coming to Clapham North early May 2015. 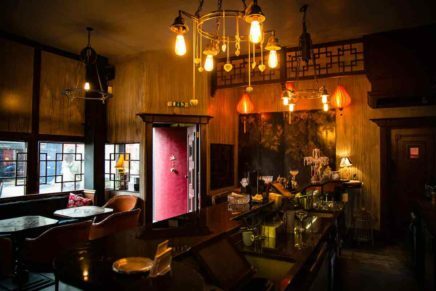 Taking inspiration from the Chinese master criminal introduced by Sax Rohmer in his early 20th Century cult novels, and subsequent films, Fu Manchu combines Victorian Opium Den with a modern graphic edge. Occupying an old railway arch, the venue’s décor is dramatic and visually stunning, boasting raw brickwork with striking light installations. Featuring raised seating areas framed by a long bar, the space is open and airy, but full of hidden corners. 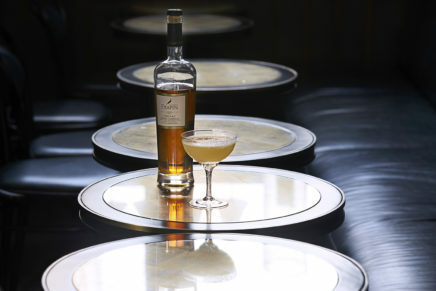 The cocktails, inspired by Fu Manchu’s shady associated and elaborate criminal plots, feature drinks such as The Kiss Of Death and Mancho’s Mind Control. Made from Chinese tea infusions, Asian spices and exotic flavours, the drinks are eye-catching creations. 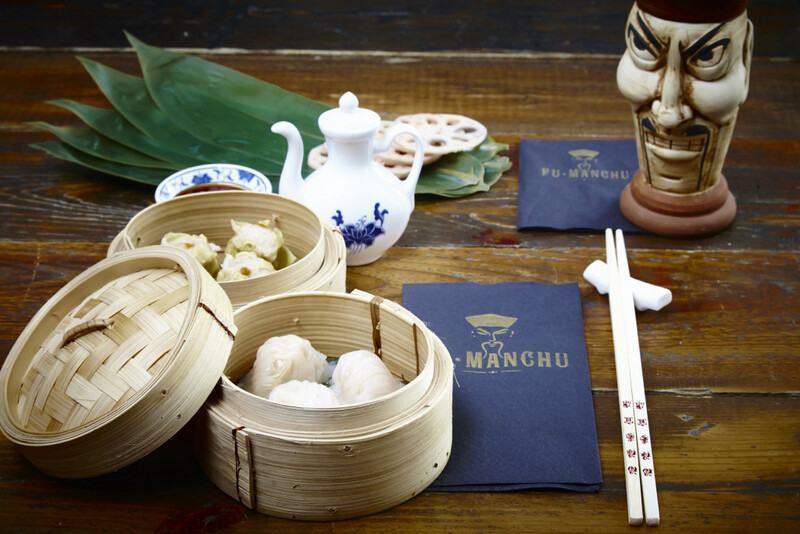 The food menu at Fu Manchu will centre on a range of delicate and fragrant authentic dim sum, steamed to perfection. Served in combinations and presented in beautiful wicker baskets, the dumpling menu is ideal for sharing. 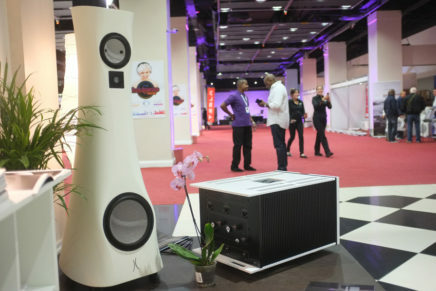 Later in the evening, a series of interactive and innovative DJ and live music led nights will ensure the venue moves smoothly from early evening dining to late-night dancing.